SillyMan quickly acknowledges ALL the "white" people in the room; he realizes history is being made. After a quick count of about 12, he declares Laughs in the Lou an instant success due to the sheer amount of white patrons in attendance (inside joke). The crowd erupted in laughter and the night begins!! He smiles and says to himself, "There's no turning back." The Live Juke Joint provided a wonderful atmosphere to enhance the adventure of Laughs in the Lou. 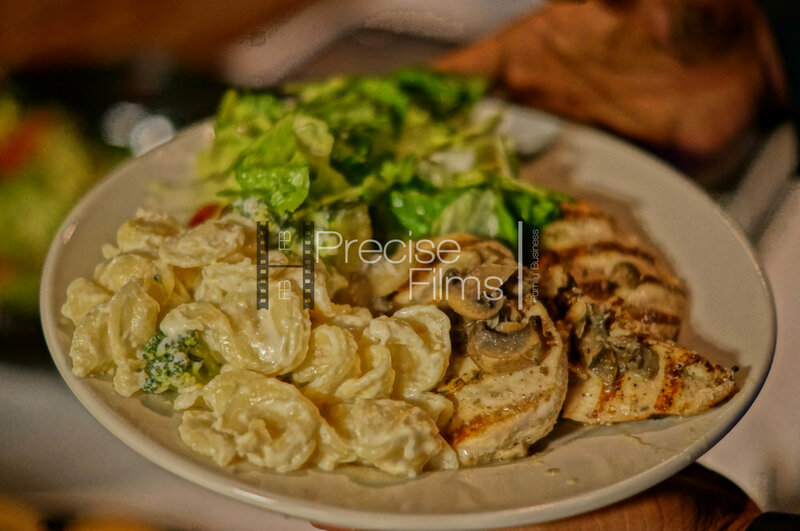 Located in the heart of Maplewood, Live Juke Joint staff ensured the stage conditions were up to par as well as provided a very tasty buffet style dinner with included pasta and smothered chicken breast....Yum! "This feels like you're out of town", Chief RCG said who was in attendance this star-studded night. DJ Hold Up provided the tunes and kept the crowd entertained during each set. #UGet2Eat was a fitting hashtag for this event as everyone said they left full of good food. And of course, the bartender had the drinks flowing. Hakee Mitchell from ACOPP did powerful poetry pieces, leaving no stone unturned. Tackling topics like crime, racism, and the realities of life through his lens. Hakee showed why spoken word is so powerful and how it changes lives. Having Hakee start the show really set the stage for the following acts. 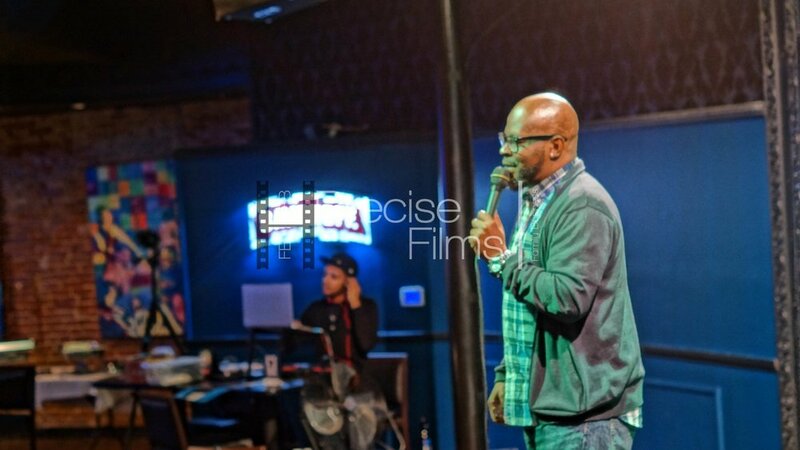 Comedian Jason Jenkins graced the stage next to provide our 1st dose of stand-up comedy. Including us into his daily routine and true to life stories, Jason Jenkins started the night with laughs and truly blessed the crowd with his comedic talent. Comedian Jamie Fritz followed up with a powerful set to add to the "laughs" in Laugh in the Lou. Diving head 1st into racial issues, sexual themes, and even exercise habits.....Jamie Fritz added girl power and showed anything you can do Fritz can do better. Tie Tailor, who's album "Tie Tailor Season" releases November 25, 2016 on Google Play and iTunes, received a very warm welcome and provided the crowd with 3 pieces of soulful music. One piece, including the late Darren Seals, "Cries of a Mother" really hit home about our current society and what community action is needed. 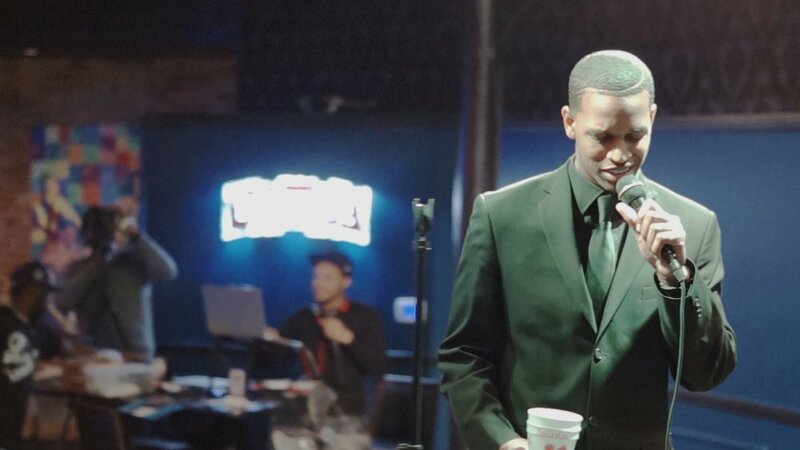 Tie Tailor performed a new piece, "W T F U Thought" to give us a sneak peek of what's to come on his new album Tie Tailor Season. Last but not least, back to where we started... SillyMan back on stage, but this time with his SillyManTV LIVE crew. The laughs were none stop, providing skits, games, stories, and general comedy. SillyManTV LIVE brought so much energy and effort to their original pieces performed in front of a live audience at the Live Juke Joint. Understanding that Laughs in the Lou is being filmed for a Hulu Originals submission. SillyMan made sure his crew would be ready. 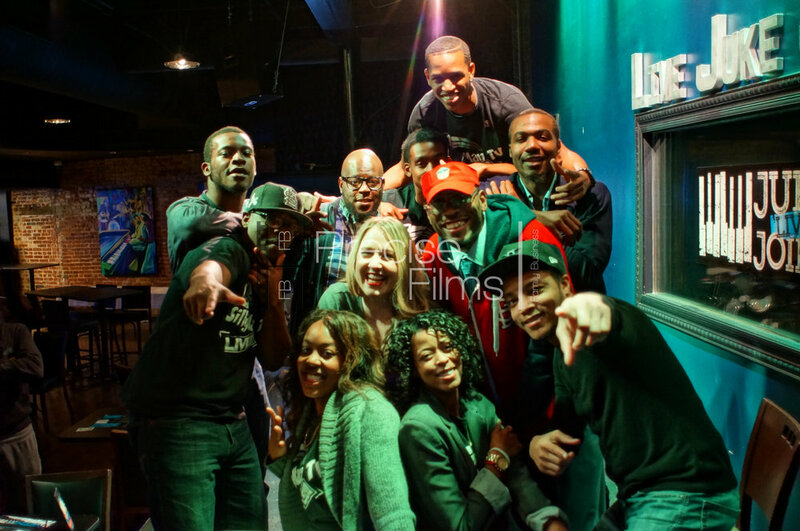 From the rehearsal to the stage with skits featuring role reversal, ethnic culture, and plenty of crowd interaction Laughs in the Lou is a sure thing for St. Louis nightlife. Well, at least Stacey over at idontdoclubs.com thinks so. She wrote an article about the top 10 events to attend in St. Louis for black professionals this week and SillyMan said, "I'm honored to have been written about... I hope that more people will hear about our events and support our efforts... We just want to bring good entertainment to the market". 816 KC Takeover is the next show December 7, 2016 at 8pm. Join us as we bring entertainment from across the state to provide more laughs and more fun at Laughs in the Lou. Tickets on sale Wednesday, Novermber 16, 2016 on PreciseFB.com & Eventbrite.